“Would you like to hear the human voice reproduced as clear and as present as when it was recorded, and delivered with the same emotion and intimacy with which it was sung? Well now you can” or so says the latest press release from Studio Connections about their newly launched Platinum Digital interconnects. 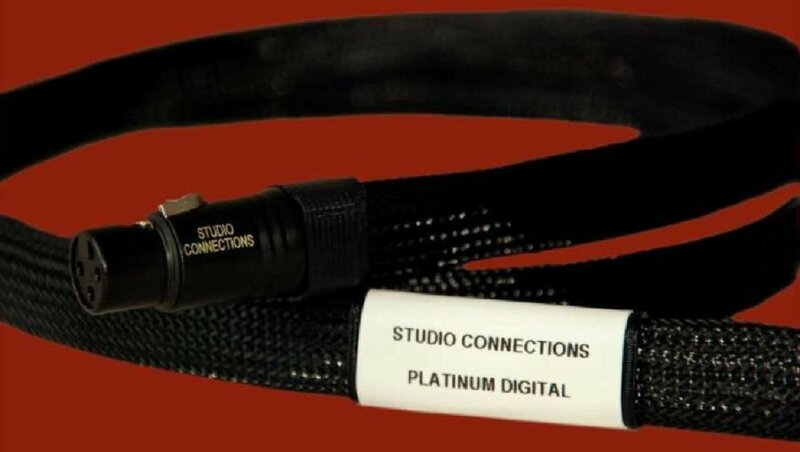 Studio Connections Platinum Digital cable is said to deliver audio data virtually free of timing distortion, to allow full stereo image projection and a more natural character in voice and instruments. Platinum Interconnects are hand-made in the UK and available as AES with balance XLR connectors, SPDIF with RCA connectors with both versions using high purity, oxygen free copper (99.999) and Studio Connections Triple dielectric system. They have a capacitance of (Hot to cold) 12.5pF/m and an oval cross section, 18mm maximum width, 8mm breadth.